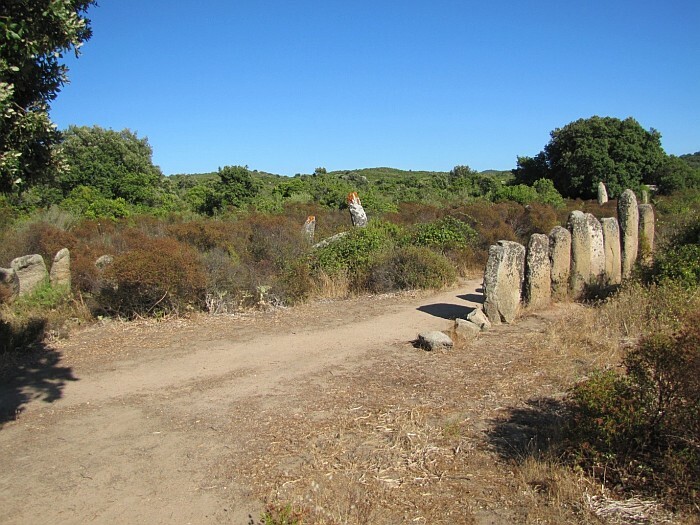 Palaggiu includes 258 megaliths most of them have toppled to the ground or are hidden in the bushes. 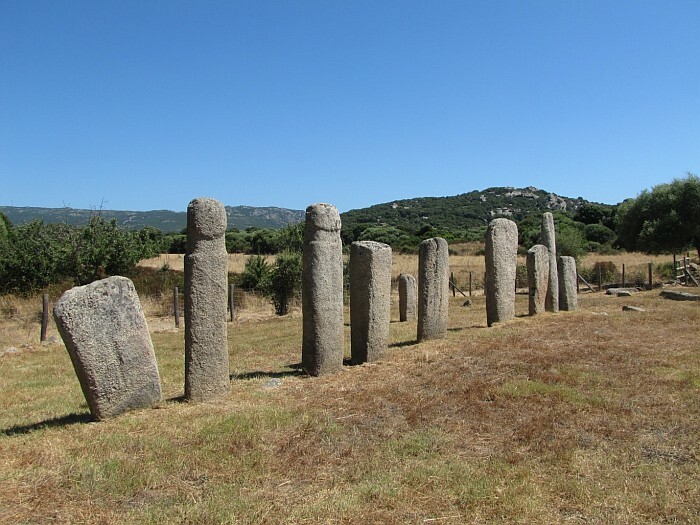 Long before the Greeks, Romans and other conquerors arrived, before the massive fortified citadels like Bonifacio and Corte were built and Napoleon Bonaparte was born, some people lived on the island of Corsica and created the incredible megalithic monuments. 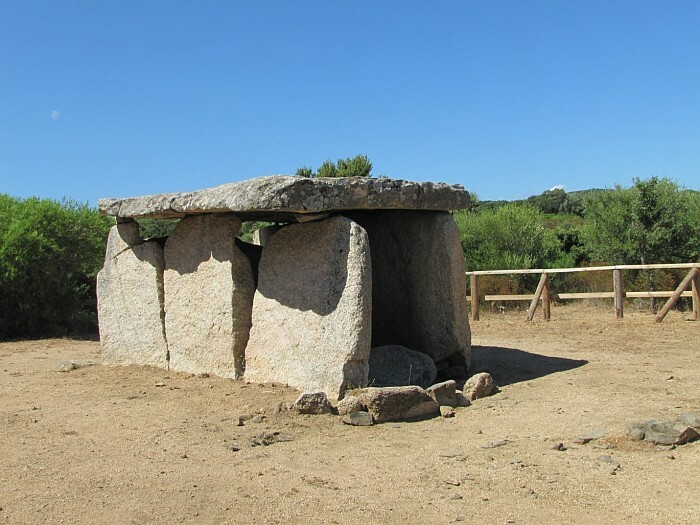 The impressive standing stones known as megaliths and menhirs can be found in different parts of this most mountainous island of the Mediterranean, but the most known are situated in the south west part of the island. Traces of the first humans living on the island stretches back to the Pre-neolithic era, 700-600 B.C. But the one who erected the stone warriors was the megalithic civilization raised in the recent Neolithic, 3000-1800 BC. The most popular among the heritage sites left by the earliest inhabitants is the site of Filitosa. South east of Filitosa on the desolate Cauria plateau and in the commune of Sartene some other amazing sites rest in peace. 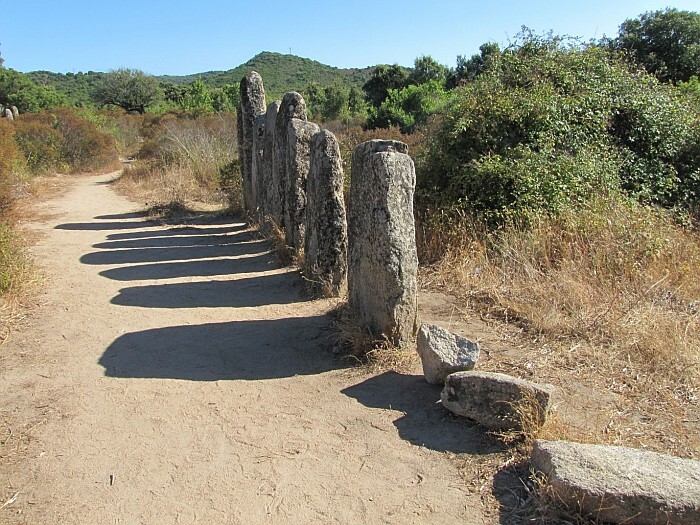 A neat path creates a loop that connects the menhirs of Stantari and the dolmen of Fontanaccia . Walking almost in no shadow suddenly from nothing the monuments appears creating amazement. 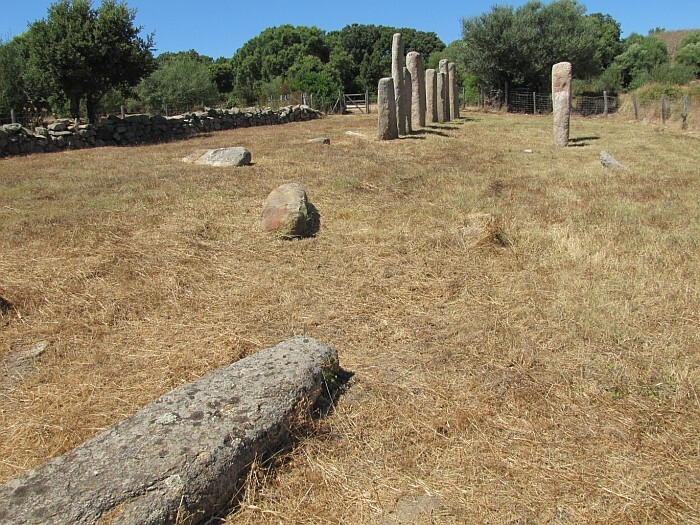 After visiting the alignment of Stantari and the dolmen of Fonatanaccia we moved south to reach the largest collection of megalithic statuary in the Mediterranean. While reading about the archaeological site of Palaggiu relatively big expectations formed. But already at the beginning when we were trying to find were the path to the site starts it turned out it’s going to be a kind of challenge. Still in the commune of Sartene near Tizzani , you have to leave the car by the narrow main road and take a walk to the site. The path is not clearly signed and it needs a little bit of intuition to choose the right way on the crossroad. There is an arrow on the ground, but made of pebbles and partially covered with sand is easy to miss it while wondering the surrounding landscape. When we finally arrived to the site it shown up to be probably the most abandoned and less visited archaeological site on the island. At first a disappointment, but after spending some time walking through the stone blocks the fantasy appeared. 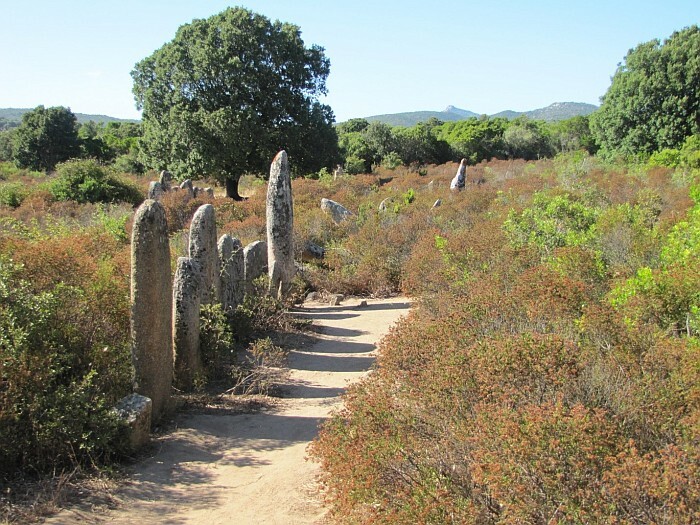 Palaggiu includes 258 megaliths most of them have toppled to the ground or are hidden in the bushes. Being in the middle of nowhere while looking at the creations of nature and man and thinking or speculating about the history and the meaning the megaliths had to the prehistoric people makes it even more mysterious. The remoteness and calmness gives to this place an additional special note. Nowadays Corsica is loved especially by French tourists that fill the sandy beaches, hike the mountain range and walk through the medieval cities. It seems the island has enough pleasure, activity and culture to offer so there is no need to search for a different experience in the middle of lawns between small villages and far away from the main road. But if you are a nature enthusiast, a history lover or just a dreamer, you should definitely come to the place and feel it your own way.